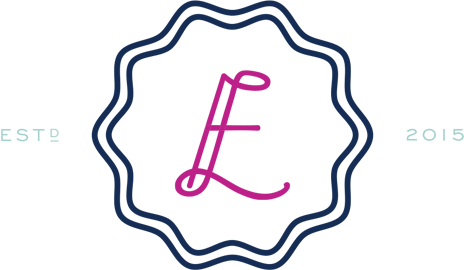 Mother’s Day is the perfect time to craft something beautiful for that special Mother in your life. 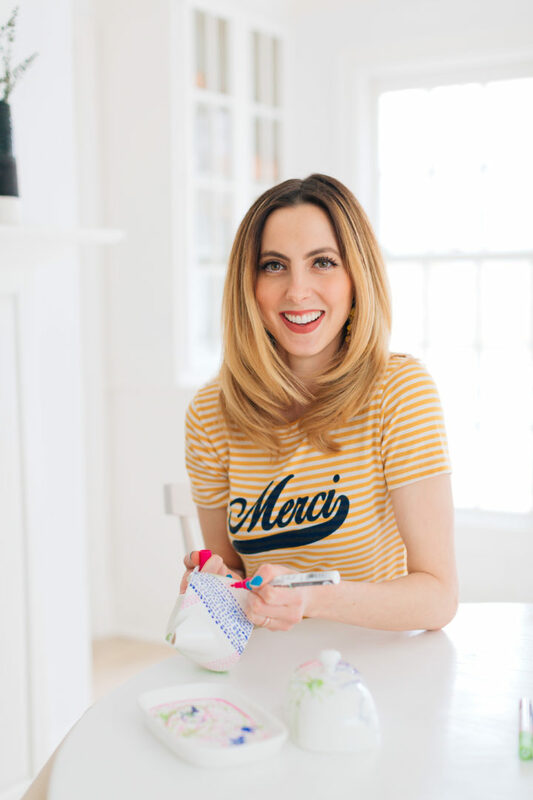 I’m always partial to crafting that is easy and creates something beautiful – who has time for crafting with too many steps or multiple days to complete?! Impossible. 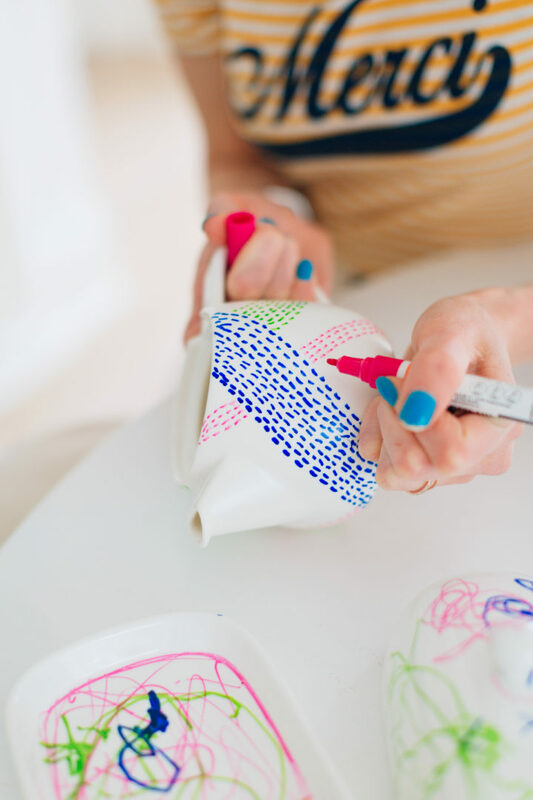 A recent discovery of mine has been decorated porcelain– it’s so simple and can really make a statement if you keep your color palette precise. 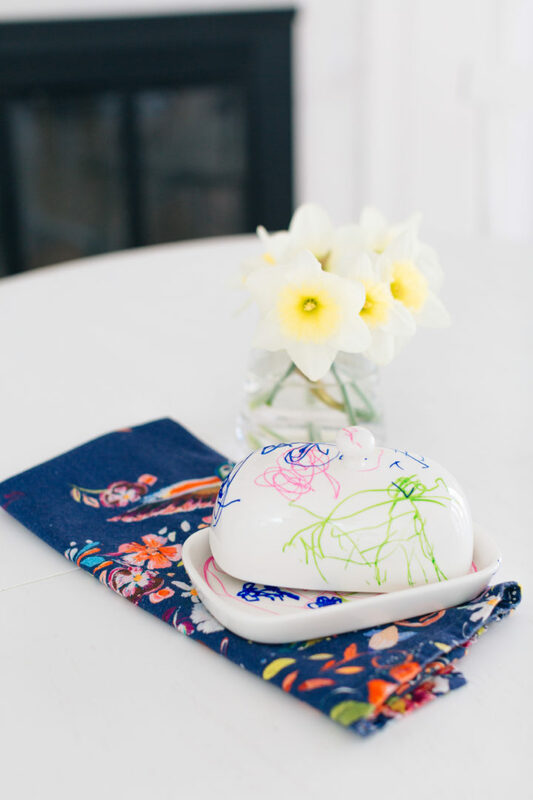 Today I thought I would share a Decorated Porcelain DIY for Mother’s Day that’s so simple it’s even kid friendly! 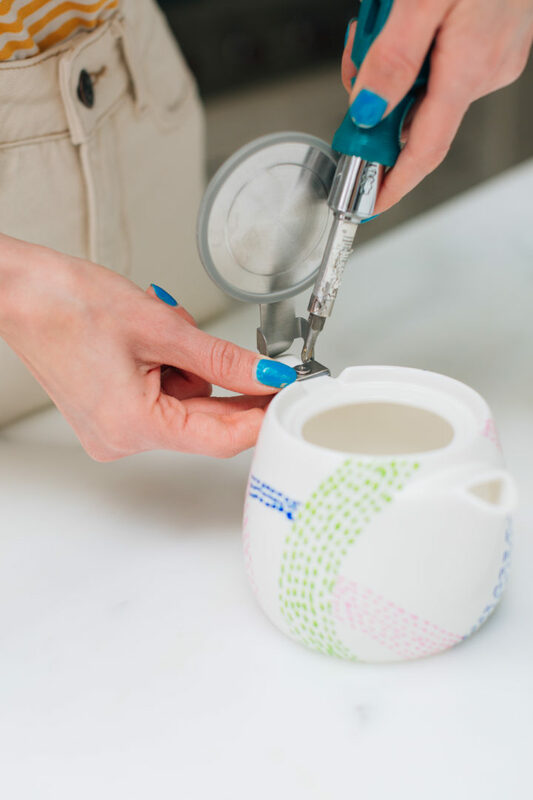 Begin by selecting your porcelain piece! 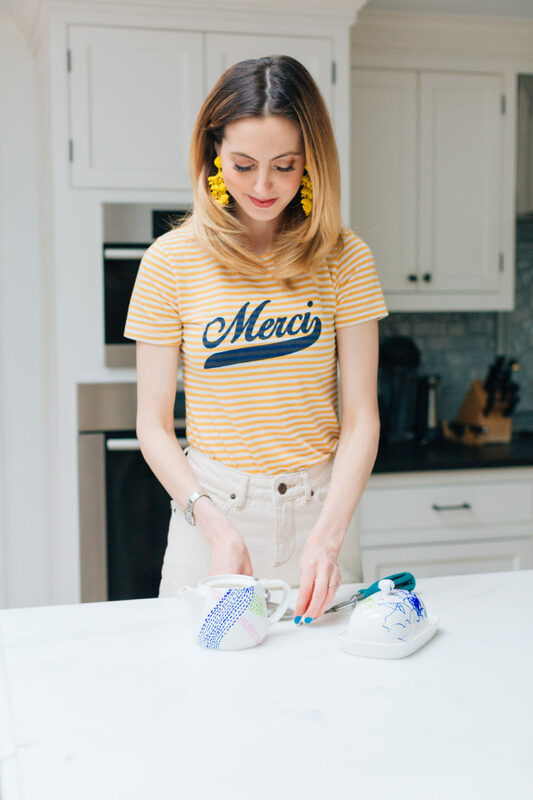 Marlowe and I were crafting Mother’s Day gifts for my Mom, so I decided to pick two items that would be great to have in the kitchen and look cute together! When it comes to kids and crafting, I always like to choose a selective color palette to work with so that even if the “decorations” are scribbles, they look chic. I went with a fun palette of an inky blue, fresh green, and magenta to evoke that springtime mood! Then, begin to decorate! Marlowe drew flowers and an astronaut on her butter dish, apparently. 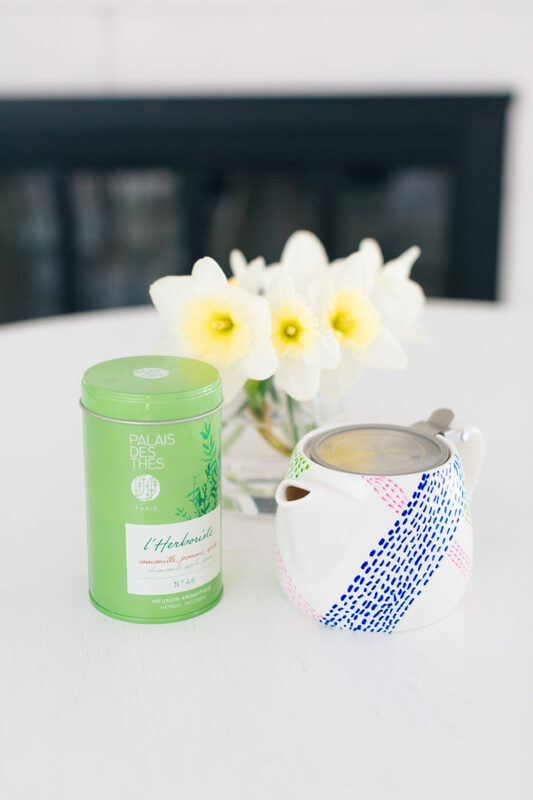 I decided to go with a modern and simple pattern on my little teapot! 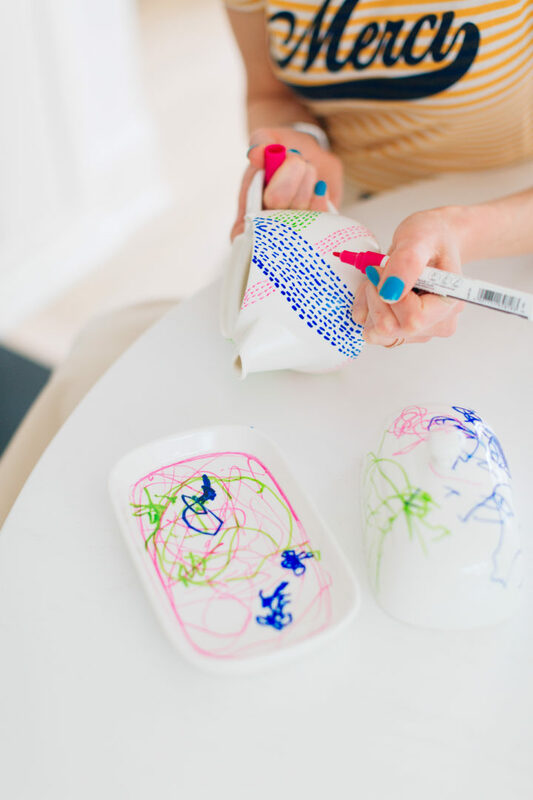 Once you’re finished decorating, allow the ink to dry for 3-4 hours. Then, set the oven to 320 degrees. 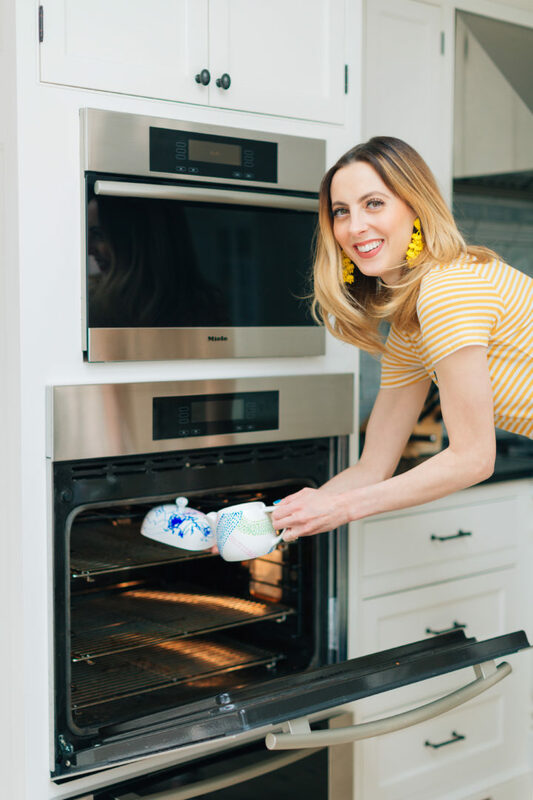 Do not preheat, just place the porcelain items on the middle rack, and bake for 30 minutes. Turn off the oven and allow the items to cool in the oven for 20 minutes. Remove items with oven mitts and place on a heat safe surface to cool completely. I love how these decorated porcelain items turned out and I know my Mom will love them too. It’s always more special to make a meaningful Mother’s Day gift when you can. 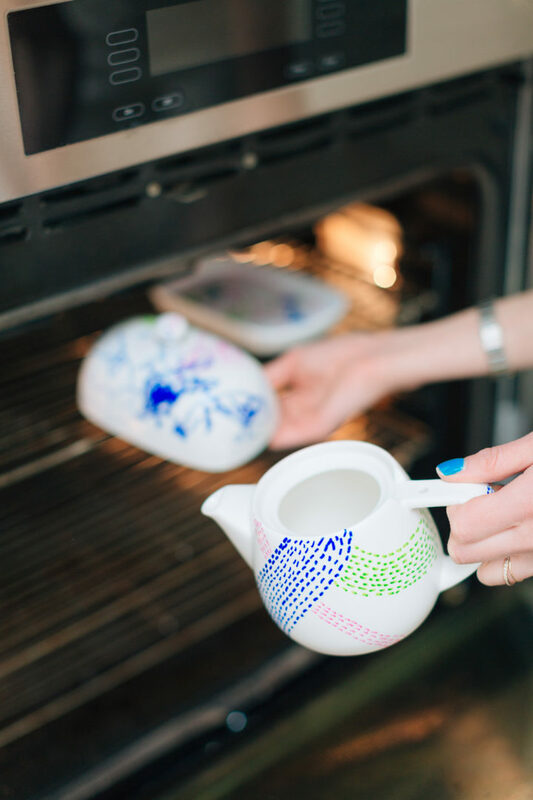 Have you ever decorated porcelain before? I’m kind of obsessed with it now! I was doing that in school! Amazing idea! Now I am looking for a mug! I’ve done something like this with sharpies and mugs before. It’s super easy and looks so nice. Definitely so easy! I love it!